This hand-woven challah cover is part of the exclusive sterling silver challah cover collection. 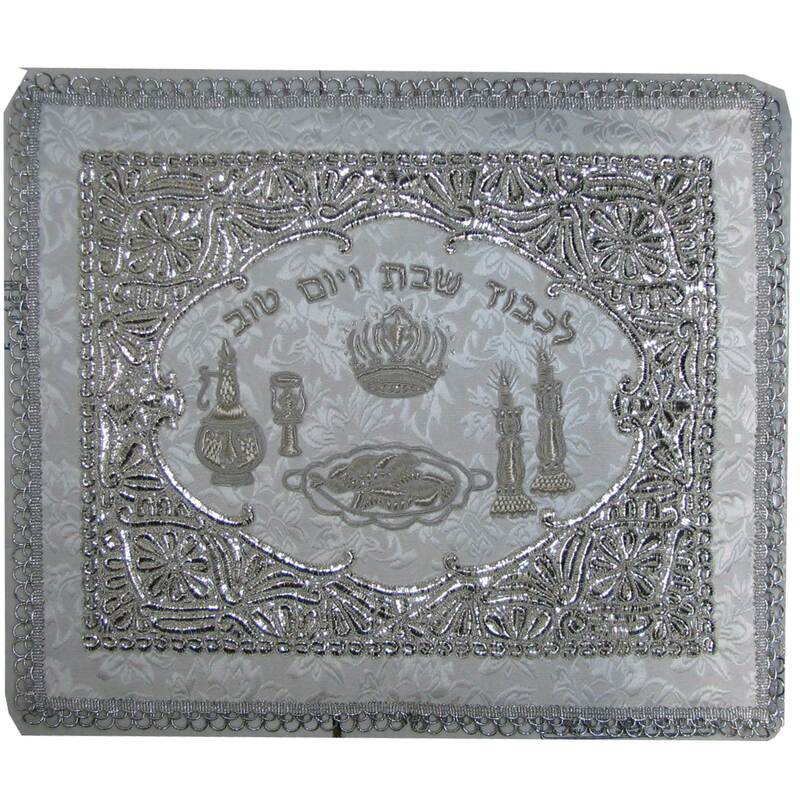 The challah cover, which includes sterling silver thread to emphasize its glamor, is richly decorated with elegantly designed scrollwork on elegant heavy brocade fabric. In the center of the design, images of challah, a wine bottle, Kiddush cup and candlesticks with lit candles are masterfully embroidered with the Hebrew words “Likavod Shabbat V’Yom Tov”, which means “In honor of Shabbat and Yom Tov” above the images.